I love Mexican food. 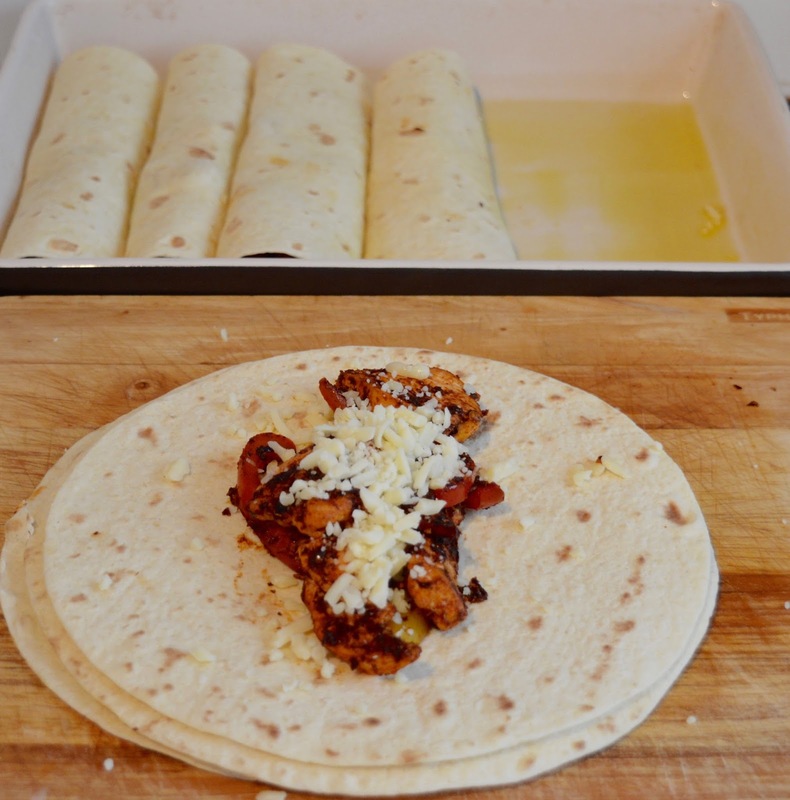 I've already posted my recipes for Huevos Rancheros here and a healthy Meat-free Chilli here and now here is a recipe for chicken and pepper enchiladas. 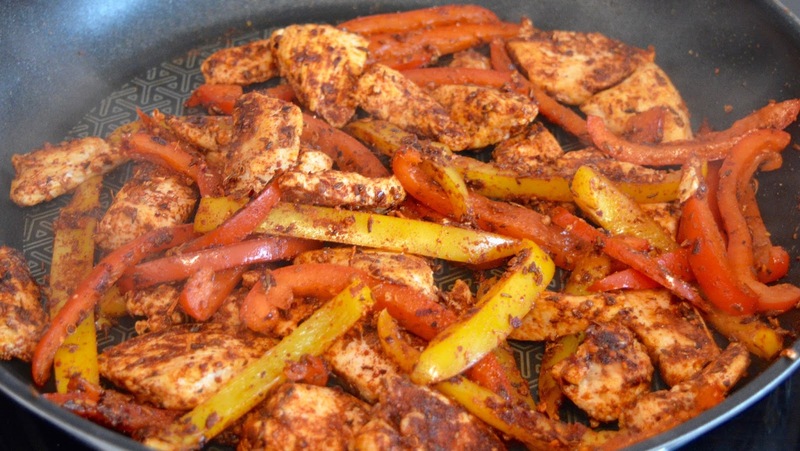 The spice mix and sauce you can make in advance and in bulk if you like enchiladas often and all you need to do is mix the ingredients for each together and then they're done. 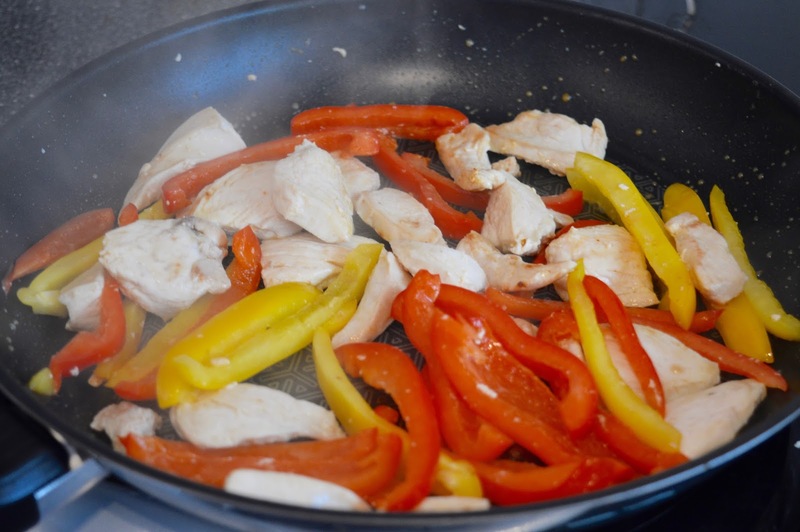 For the enchiladas start by chopping the chicken and peppers into strips. 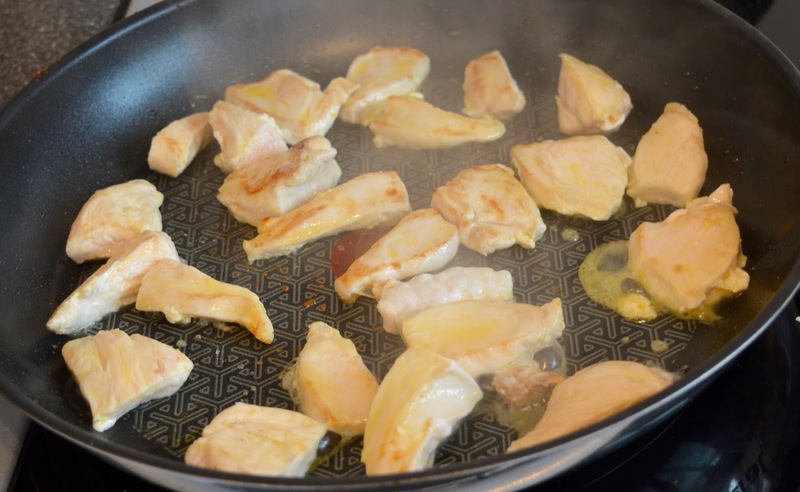 Heat some oil in a hot pan and put the chicken in until brown. Once done add the peppers and cook for a few more mins and then add the spice mix and cook for a further 2 mins and then you have your enchilada filling. 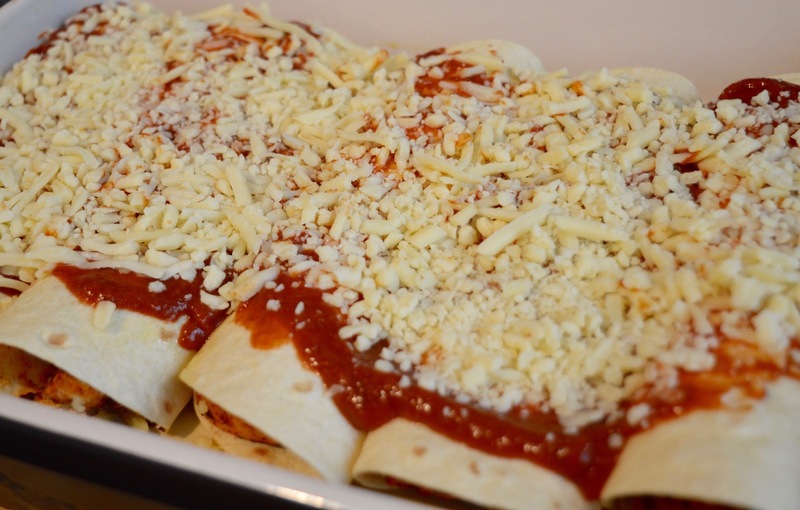 When the filling is ready it's time to assemble the enchiladas. First oil the baking tray you are going to use. Next spoon some of the filling onto one of the tortillas and then add some grated cheese. 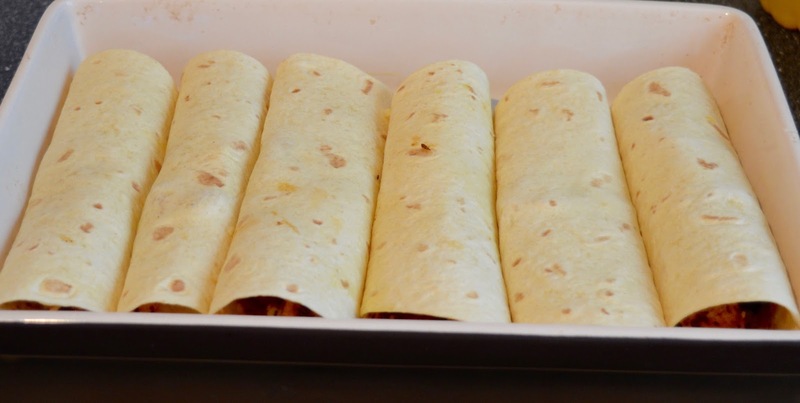 Fold the wrap and place in the baking tray with the fold facing down. Repeat the process until you have done all 6 wraps. 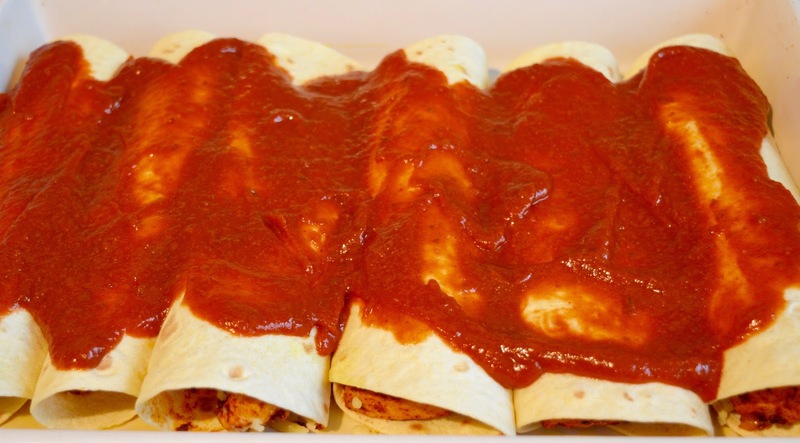 Next spread your enchilada sauce evenly over all of the wraps and then sprinkle more grated cheese on top of the sauce. 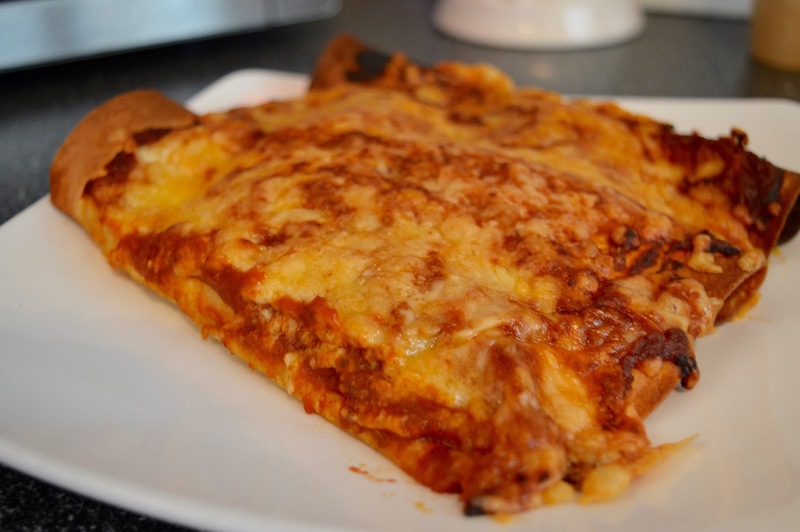 Now bake in the oven at 220ºc (200ºc fan) for 25 minutes until the tortillas have gone crispy and the the cheese has melted. 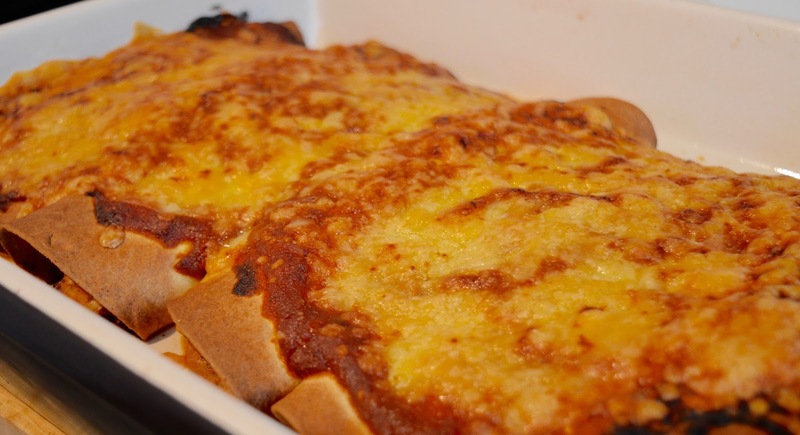 Let me know what you think of my enchiladas and what your favourite Mexican food is. Looks like a proper winner of a dinner!!! I love Mexican food and all it's bold flavours... I think tacos are probably my fave.